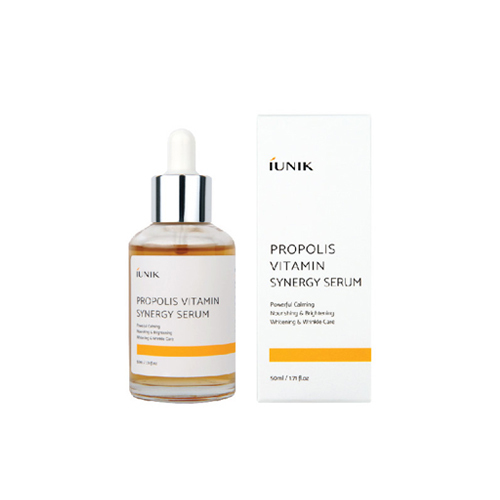 A serum is formulated with 70% propolis extract and 12% vitamin C that calms and brightens the skin. Propolis containing anti-inflammatory properties that makes skin radiant. It effectively controls pores and reduces sebum, leaving your skin brighter without unwanted shine. After toner, apply proper amount onto skin softly.